No irregular rider goes out on a horse without expecting sore muscles the next day. 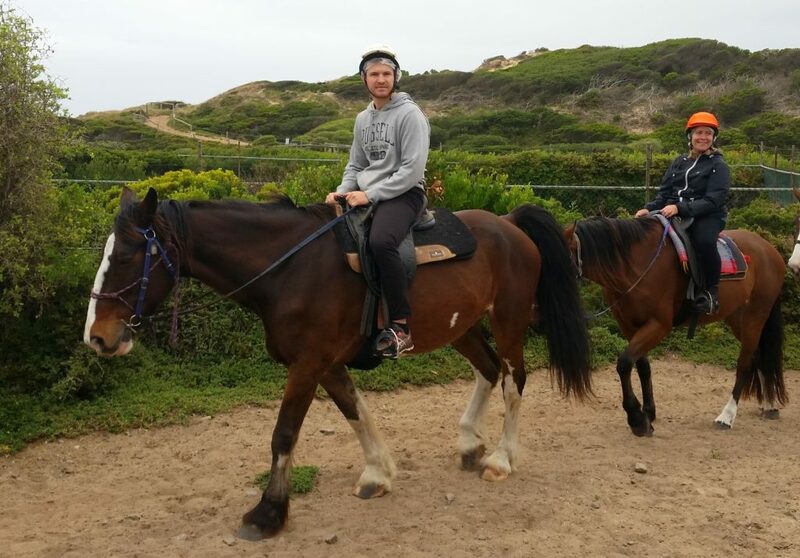 The price seems well worth it, however, because there’s nothing to compare with the get-back-to-nature nature of horseback riding and doubly so when the destination is Victoria’s St. Andrews Beach, a wild stretch of dunes and energetic surf on the Mornington Peninsula. Early one recent morning, I saddled up for a ride with a group and guide at Gunnamatta Trail Rides. We were given a safety briefing and helmets and then I was assisted into the saddle of a tranquil horse named Banjo. With me atop, he obediently he took his place in a line of horses carrying young women on a birthday outing and off we went. Like the manicured, thirty-something Melbourne city slickers in my group, I struggled to keep my balance and to get into the rhythmic up and down when the horse began to canter. 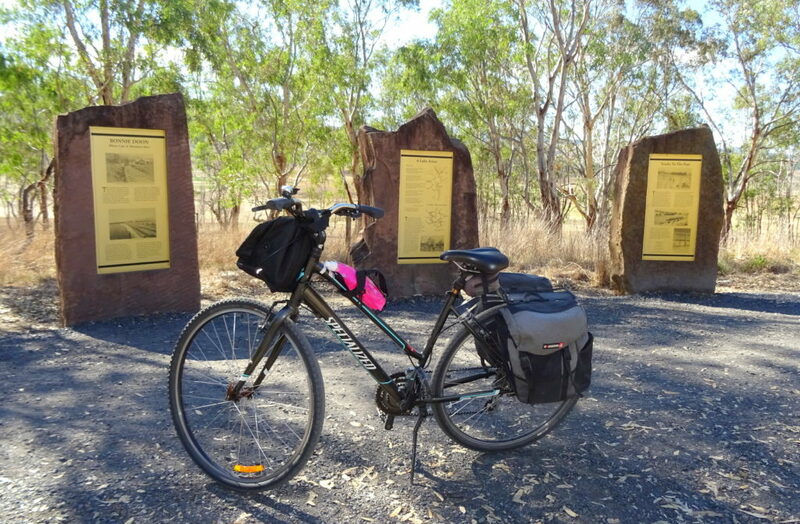 Butts slamming into saddles is the downside of the sport and my rear end was particularly sensitive as I’d just come off a three-day bike ride across a swath of rural Victoria for a New York Times Travel article to be published shortly. My 83 mile bike trip left me with welts at the very top of my legs. Avoiding the pain attendant with mis-matching my movements with Banjo’s required concentration and muscle action even beyond what’s required of folks who venture onto a horse, say, once every two or three years. 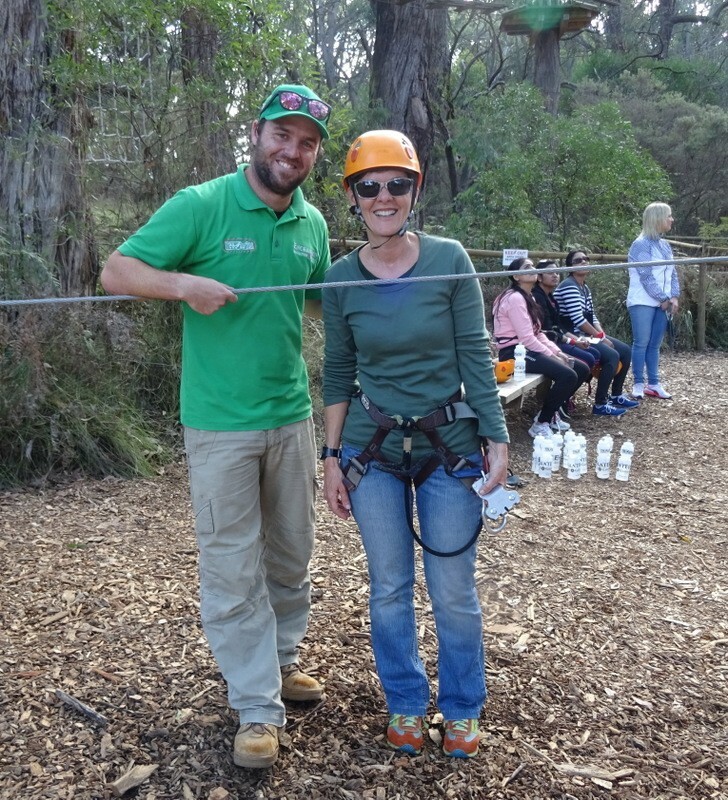 To make matters worse, the day before, I’d literally leapt at the chance to do a ropes challenge course at the innocent sounding Enchanted Adventure Gardens in the peninsula community of Arthur’s Seat. 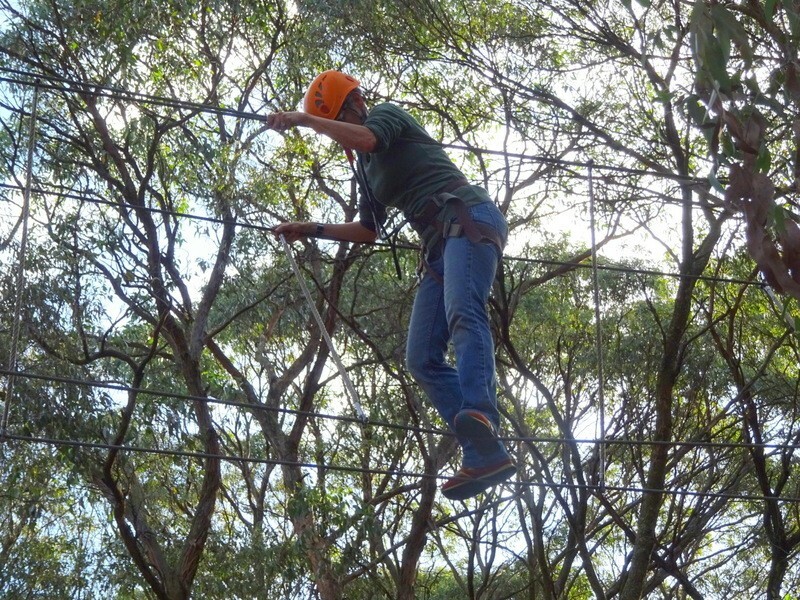 Crossing rope bridges, balancing on wires thirty feet high and zip lining through the trees was both a test of nerves and evidence of lunacy and had left me aching. Truth be told though, I’d never felt more energized than when I successfully completed the final challenge. On the ropes and terrified at Enchanted Adventure Garden. Anyway, all this meant that Banjo did not get a fresh and ready rider when I tossed myself onto his back that morning. 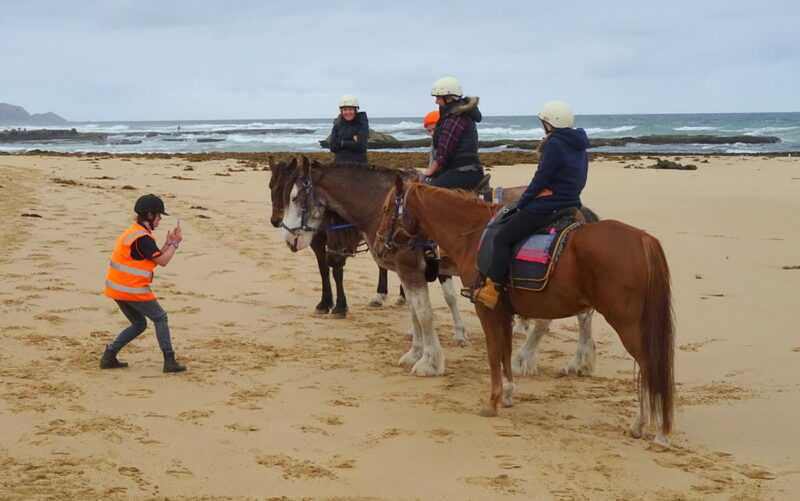 Nevertheless, all discomfort was forgotten when we trotted down onto the sandy beach and the waves of the Bass Strait rose and crested along our path. 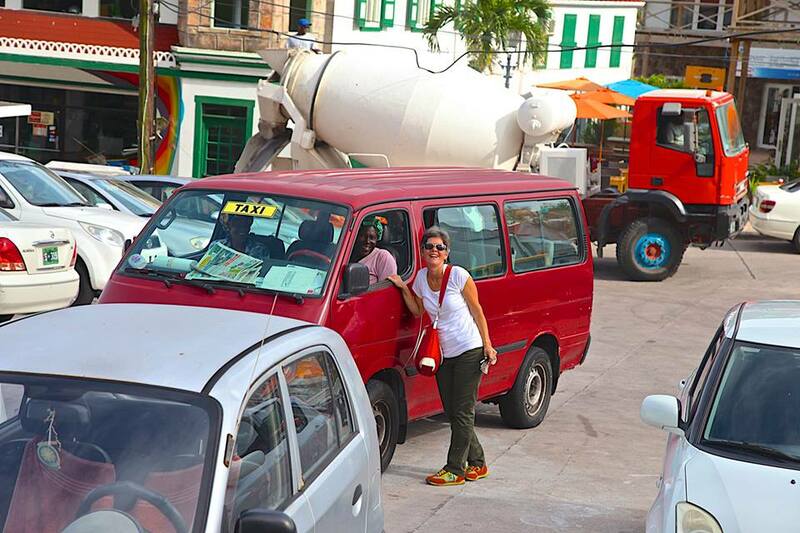 We stopped to take pictures, but really, would would forget this morning? By the time Banjo and I parted ways three hours later, my legs were jelly. Good thing my next activity was snorkeling in Port Phillip Bay 12 miles west. Swimming is all about upper body strength and when buoyant in several layers of neoprene not even too much of that is required. Again I was part of a group – this time two women, co-workers enjoying a day off and out of the city. Our guide James Troutbeck of Bayplay, got us suited up and we headed to the beach – thoughts of catching glimpses of the weedy seadragon, banjo sharks and rays filling our heads. This may have made us a little oblivious of the cool overcast day and the chilly water into which we were about to submerge. The time it takes for water to warm to body temperature in that critical area between skin and wet suit can be especially long for someone raised in Miami where seawater and bathwater are interchangeable. I spotted some of the stunning sea creatures James had told us to expect; a lone cuddle fish crawling across sea floor and colorful biscuit stars clinging to the wooden supports of Portsea Pier. A school of pufferfish turned up just where James said they would be and a banjo shark snuggled into the sand. I watched it all as the cold wrapped itself around around me. By the time I dragged myself up the stairs and onto the pier, I was bordering on hypothermia. The path from miserable to exhilarated was as short as my march back to the hot showers at Bayplay. Standing in the steamy water as the chills subsided, the four of us chattered about all the things we’d seen, strangers bonding over shared experiences. It occurred to me then that when you are plunged seemingly beyond your depth, or perched on the precipice between fear and fascination, when you are pushed to the point of pain while galloping to your personal limits, you are surely in Australia. Because this is the place to come if you want to be both physically challenged and mentally uplifted. Here it is just a typically Aussie, terrible/wonderful day.